Out with eye-level, in with hand-level. 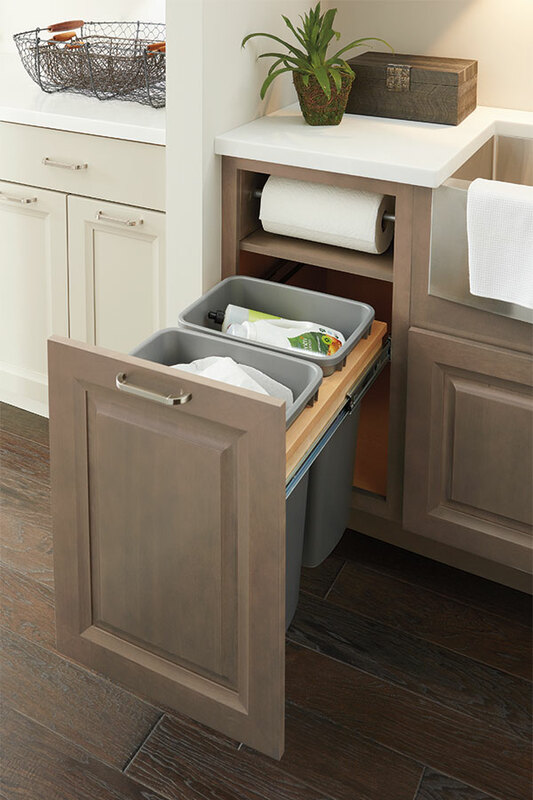 With a built-in space for an under counter paper towel holder and paper towel storage, plus waste baskets underneath, this cabinet is the ultimate solution for having convenience in close proximity. The full height door keeps towels out of sight when not in use.